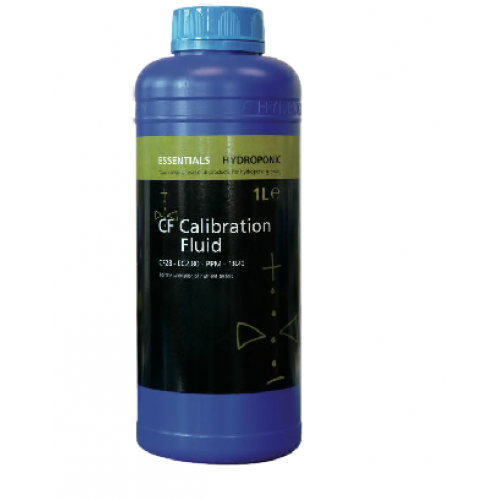 Essentials CF Standard is used to calibrate CF/EC meters. It is important to realise that unless you calibrate your CF/EC meters with Essentials CF Standard at regular intervals the accuracy of your CF/EC readings will be doubtful. Temperature will affect CF, always ensure the meter you use is temperature compensated like the Essentials EC meter and Trident meter. Essentials Digital EC MeterThe Essentials Digital EC Meter is a highly effective handheld nutrient m.. The budget EC tester represents amazing value for money. It's ideal for those on a tight budget or t..